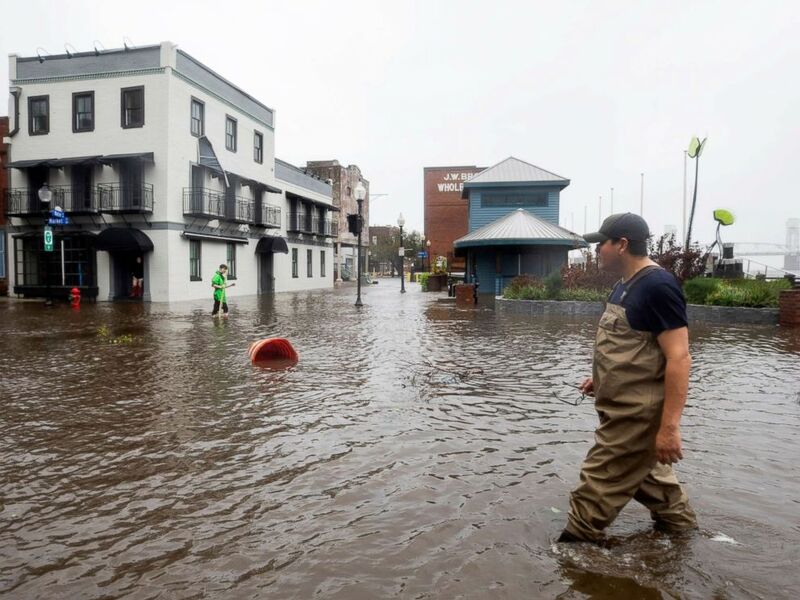 Muddy, opaque floodwaters can hide large or sharp objects dislodged during a storm that can lead to injury, "anything from a fracture to a major laceration," said ABC News' chief medical correspondent Dr. Jennifer Ashton. The water may also contain snakes or other wildlife, human waste from overwhelmed sewage lines or chemicals leached or spilled from flooded sites. 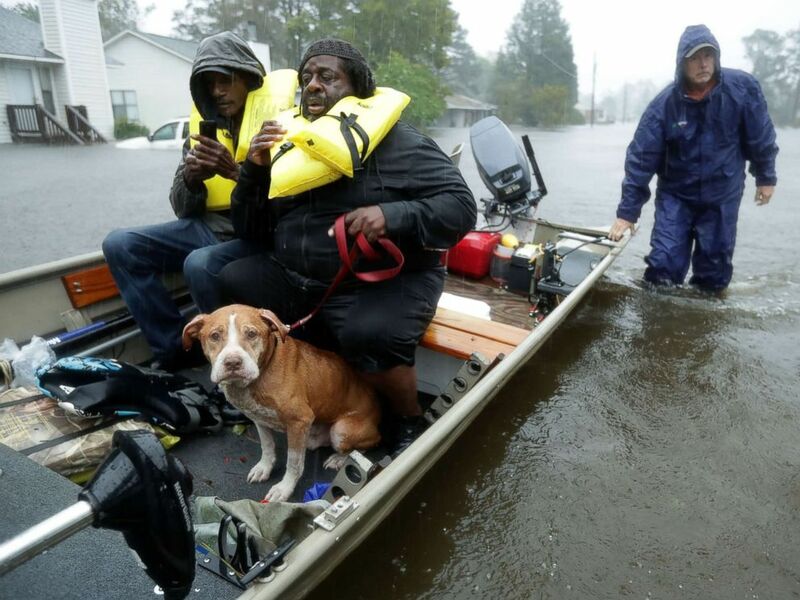 Volunteers from all over North Carolina help rescue residents and their pets from their flooded homes during Hurricane Florence, Sept. 14, 2018 in New Bern, N.C.
People walk through flooded Water Street as Hurricane Florence comes ashore in Wilmington, N.C., Sept. 14, 2018. 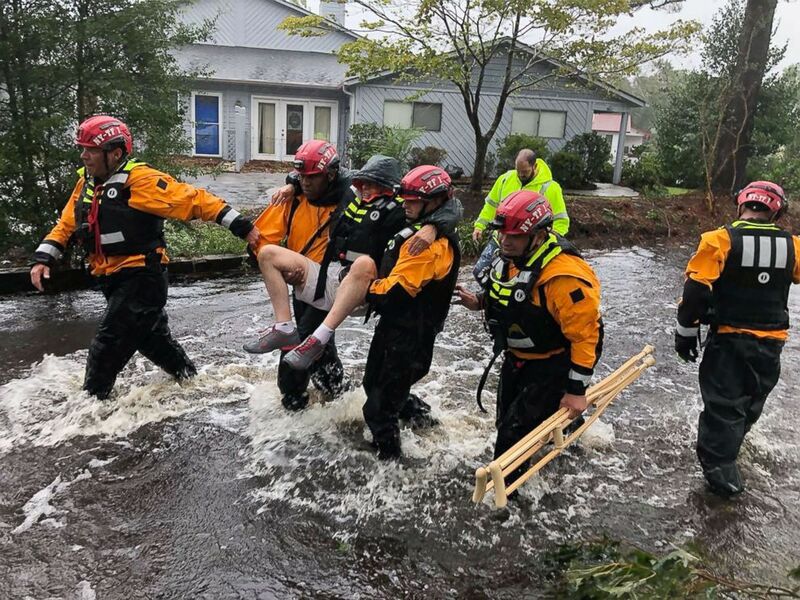 Search and Rescue workers from New York rescue a man from flooding caused by Hurricane Florence in River Bend, N.C., Sept. 14, 2018. Days after Hurricane Harvey hit the Gulf Coast in 2017, "GMA" asked Dr. Terry Gentry from Texas A&M University to collect and evaluate samples of the floodwater. 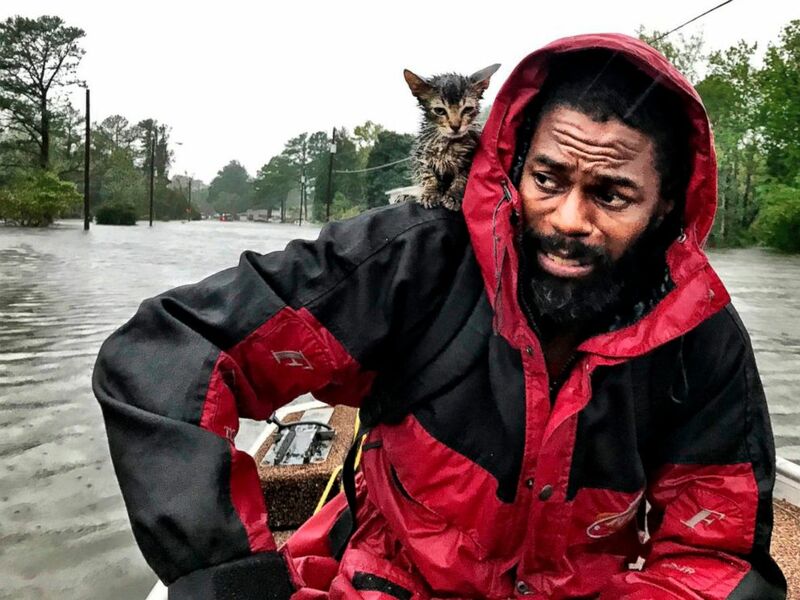 Robert Simmons Jr. and his kitten "Survivor" are rescued from floodwaters after Hurricane Florence dumped several inches of rain in the area overnight, Sept. 14, 2018 in New Bern, N.C.